Contest: BlackBerry Storm 2 Coming in June? 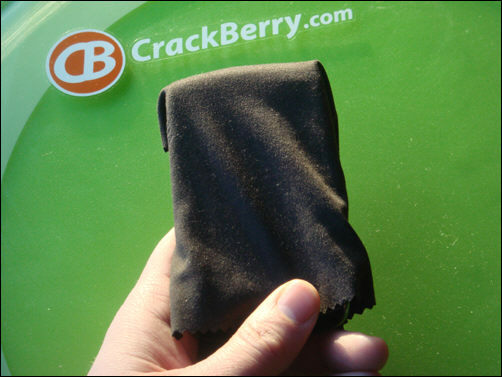 Login to CrackBerry.com and leave a comment to this blog post for your chance to possibly win a BlackBerry Storm 2. Full Contest Details Below! There's lots of buzz around the interwebs today that the BlackBerry Storm 2 could be hitting store shelves much sooner than most of us would think, with rumors suggesting a release as early as before the end of this month or sometime in June. As much as I would LOVE for this to pan out to be true, my CrackBerry gut says we'll all have to wait a little longer than that to get our hands on a store-purchased model. Our best info right now slates pre-production of the next generation Storm (which RIM internally refers to by the codename BlackBerry "Odin") to begin early next month and from there an official release is usually a couple months out (VZW's technical acceptance process usually takes 2-3 weeks on a device, so even if they approved it off the first pre-production run we'd still be looking at July). And this is Verizon were talking about here... the pickiest of the carriers... who also have the BlackBerry Tour 9630 to roll out still and after a less-than-stellar Storm 1 experience won't want to put out Storm 2 until it's ready. And they won't want to stack the 9630/Storm 2 releases too close to eachother. At this point, I'd rate a May release as impossible, a June launch as potentially possible but improbable, a July release as targeted/more realistic but tight (think end of the month, fingers crossed), an August launch as more likely but if you throw in the usual BlackBerry/Verizon delays then I wouldn't even be suprised to see it launch later than that. As always in the world of BlackBerry, all will be known with time. Storm 2 Before the End of June Contest: Let's have some fun here! I'd love to see a June launch happen. I really would. I just don't think it will. So to that end, we'll take a gamble and run one helluva contest.... LEAVE a comment to this blog post. For every day that the BlackBerry Storm 2 is on sale in the month of June 2009 we'll give one away to a CrackBerry member. So if the Storm 2 is available for purchase on June 1st, we'll give away 30 Storm 2's over the course of the month. If it's available on June 15th, we'll give away 16. If it's available on the 30th, we'll give away one. And if it doesn't go up for sale in June at all, we'll give away none. Should make for an interesting month, huh? Leave a comment for your chance to win!